I had the traps out in the garden both last night (Tues, 18/7) and on Monday night (17/7), with four additional traps also out on Monday - one in a suburban garden in west Llanelli and three in mixed woodland nearby. However, the latter effort was n`t really worth the effort in terms of results. 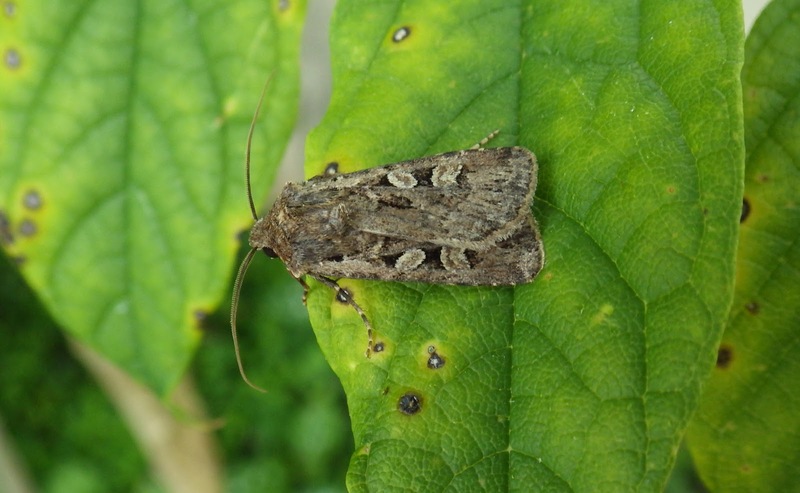 Some common migrants were around, mostly in the home traps, with numbers of silver y`s reaching 9 last night (Tues) with 3 dark sword-grasses; also singles of diamond-back and rush veneer (as trap captures). Incidentally, I noticed good numbers of the regularly immigrant hoverfly Scaeva pyrastri yesterday evening whilst `dusking` at Machynys, Llanelli, as well as two more diamond-backs, all perhaps brought in on the strong south-easterly winds. 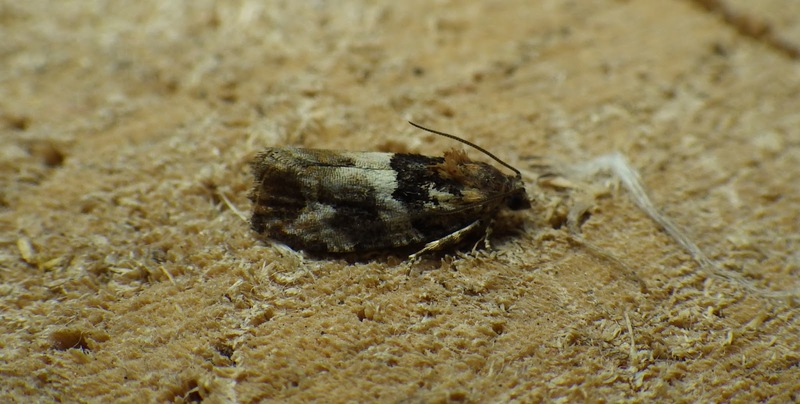 Large yellow underwings totaled 42 in my two garden traps last night and they made the usual nuisance of themselves by disturbing other moths, causing them to become rather worn. Large numbers of small water boatmen filled my actinic (but not the MV) and, before I forget, this year has seen huge numbers of one of the smaller caddis flies in my traps. 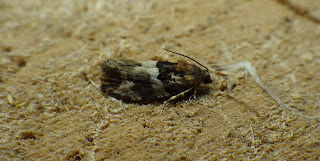 As for other moths, four-spotted footmen were in my garden traps as well as in the other suburban actinic (and in one of the woodland traps); a slender brindle turned up in one of the garden traps (I have a `record shot` poor pic of a worn moth - blame the LYUs! ); black arches and dun-bars were FFYs in several of the traps. Six Freyer`s pugs were in one of the woodland actinics located near some cypresses. The proximity of my garden to wetland areas resulted in the usual good numbers of ringed China-marks, some water veneers and a massive wetland pyralid of which more below. Above: this female Donacaula forficalis matched the scale line given in Chris Manley`s book for Schoenobius gigantella, but the concavity of the termen (back end of the wings) suggests the former species - unfortunately! 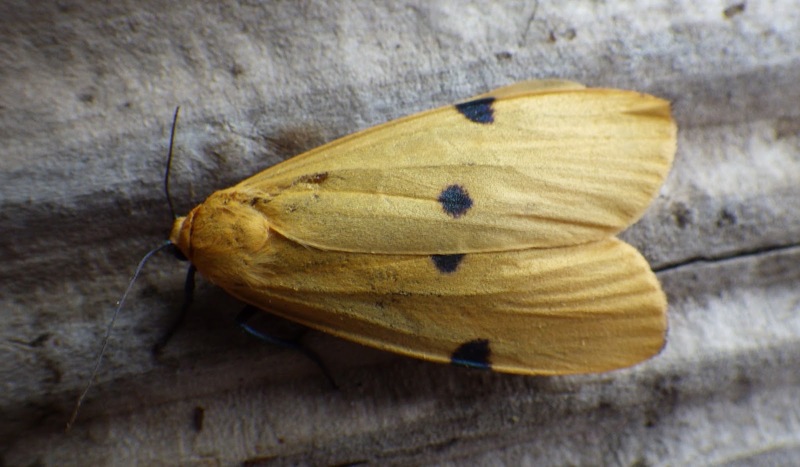 Above: ringed China-marks are regular and often quite numerous in my garden traps. 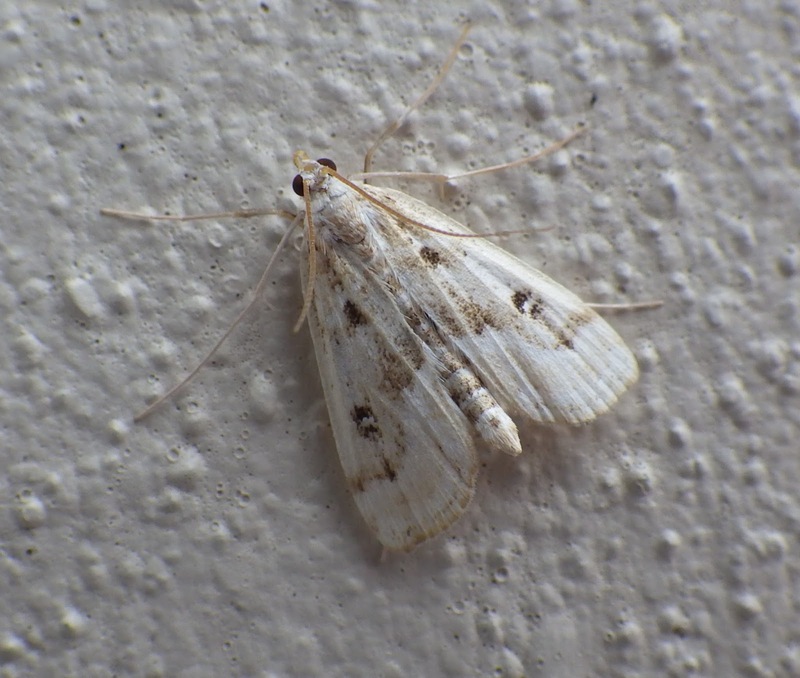 Above: this white-line dart probably came from the adjacent coastal grasslands. Above: my first female four-spotted footman of the year; I`ve had males in the trap on several occasions. Above: new (I think) for my garden was this Eudemis profundana, a moth associated with oak. Strangely, I did n`t record it in my woodland traps on the same night! Above: again in my garden, Zeiraphera ratzburgiana, associated with spruce and other conifers. Above: I`ve mentioned a hoverfly species already and here`s another one but, this time, caught within my garden actinic. 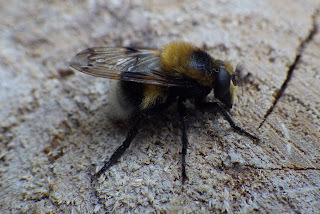 It`s the effective bumble-bee mimic hoverfly Volucella bombylans.